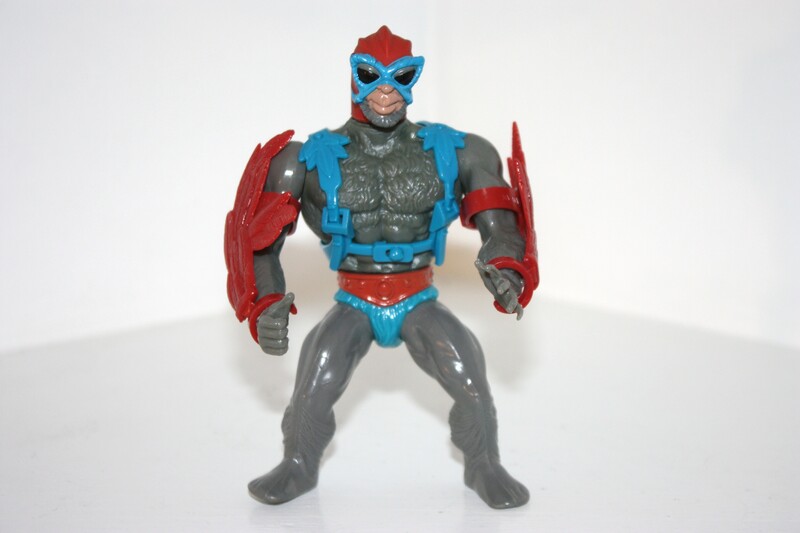 In previous posts I’ve covered trademarks and patents in Masters of the universe, and organized the material into a cohesive Masters of the Universe Timeline. 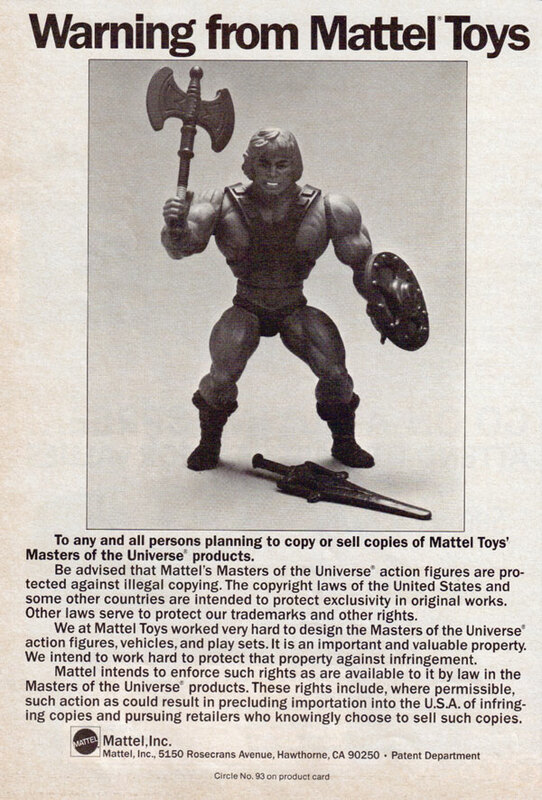 In this post I’m going to be covering Mattel’s He-Man-related copyrights, sourced from the US Copyright Office, for 1981. 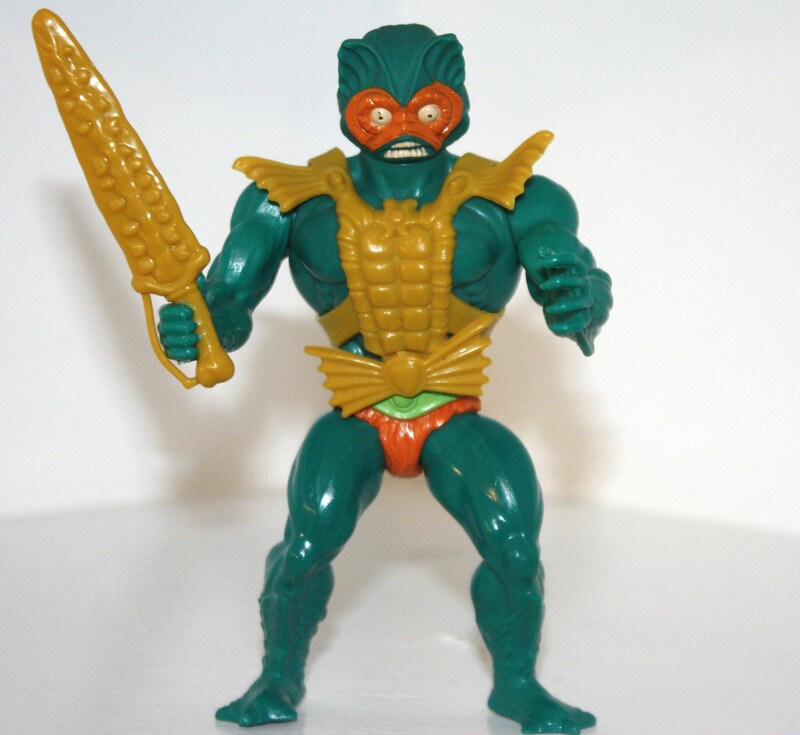 Eventually I’ll fold these dates into the MOTU Timeline article as well. Some of the copyright entries have some interesting details and comments, so I’ll include most of the original text (errors and all), eliminating some redundancies and the registration numbers. Each entry has multiple dates, but I’ll sort according to “Date of Publication”. I’ll do a separate post for each publication year. 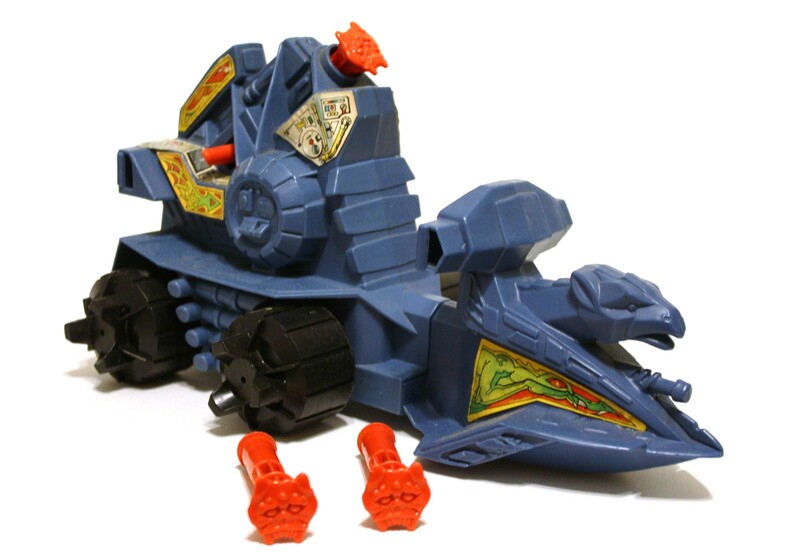 A few notes – the “Date of Publication” for the early toys listed universally as February 15, 1981. The figures were not actually sold that early, or even really close to their final designs. 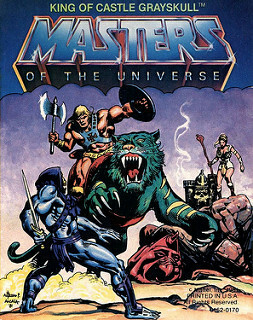 The He-Man project was well underway, however. They may have sometimes just chosen a safe, early date for some of these. I believe that entries that have more unique publication dates are more likely to reflect an actual production or release date. The minicomics in this post all have a publication date of November 28, 1981, which at least sounds plausible as a “printed on” date. Note also that while the male figures are generally called “figurines”, Teela is referred to as a “doll”, apparently based only the fact that she’s a female figure. 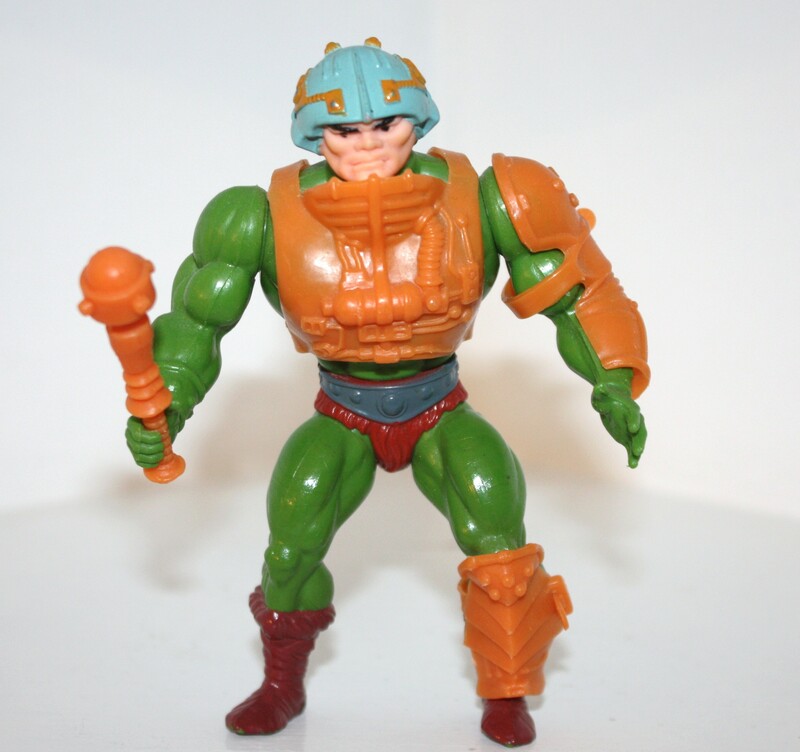 In reality, Teela is every bit as much an action figure as He-Man. Title: Battle ram : no. 81-3990. Notes: Cataloged from appl. only. 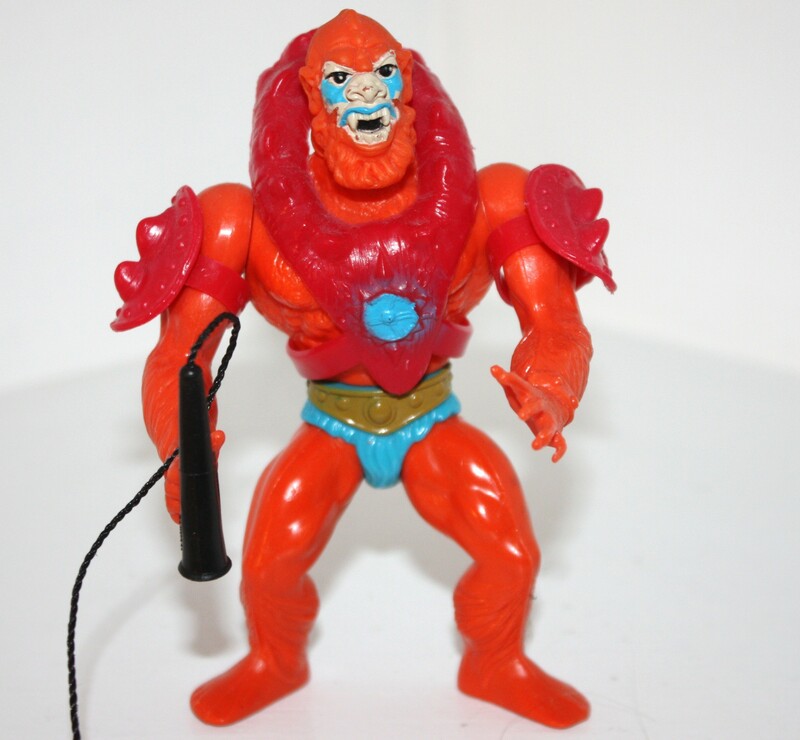 Title: Beast Man : [no.] 81-5043. 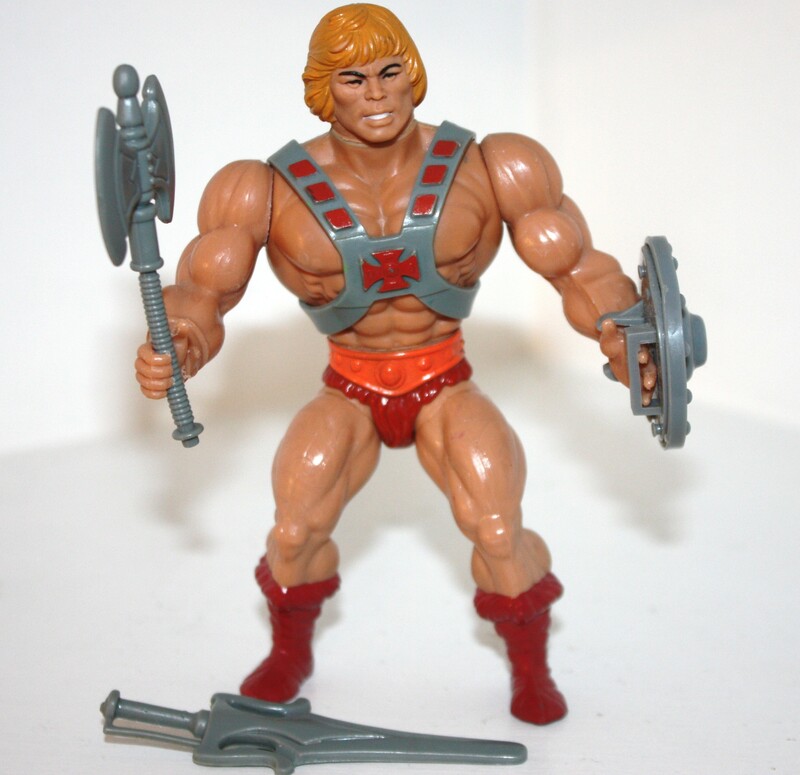 Title: He-Man : [no.] 81-5040. 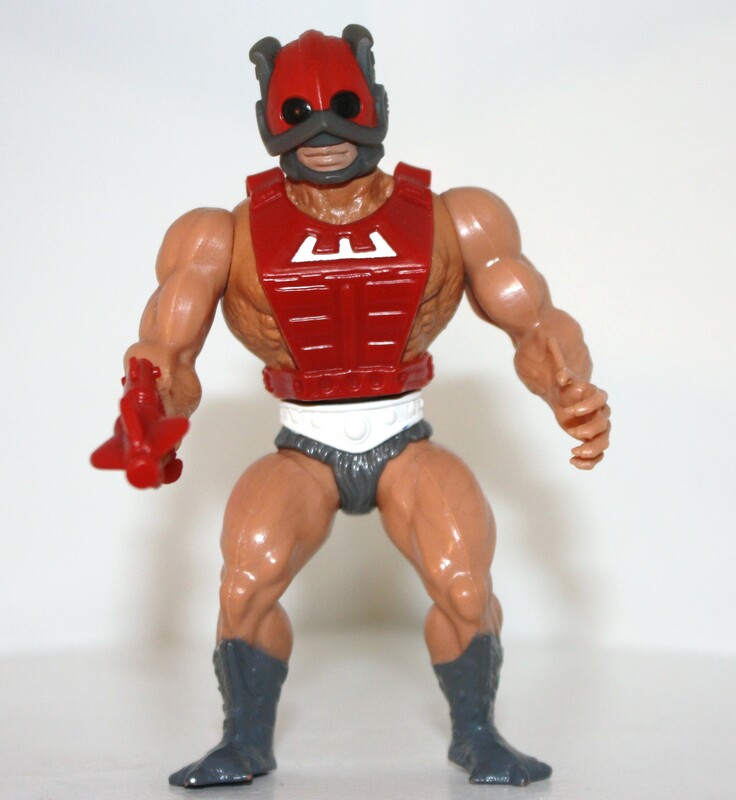 Title: Man-at-arms : no. 81-5041. Title: Merman : [no.] 81-5046. 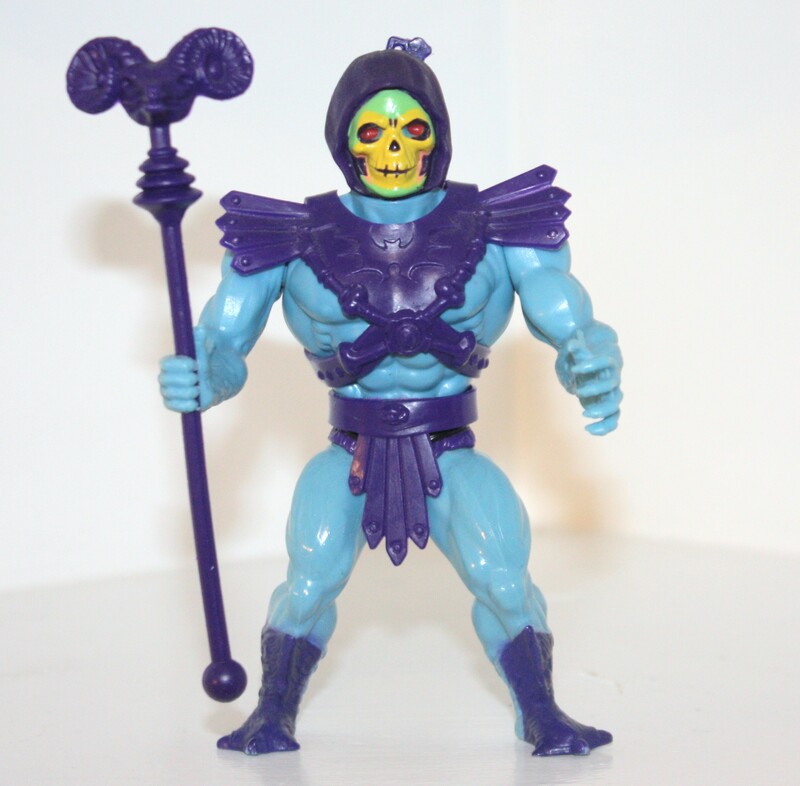 Title: Skeletor : [no.] 81-5042. Title: Stratos : [no.] 81-5047. Title: Teela : [no.] 5045-81. Title: Wind raider : [no.] 81-5117. Title: Zodac : no. 81-5044. 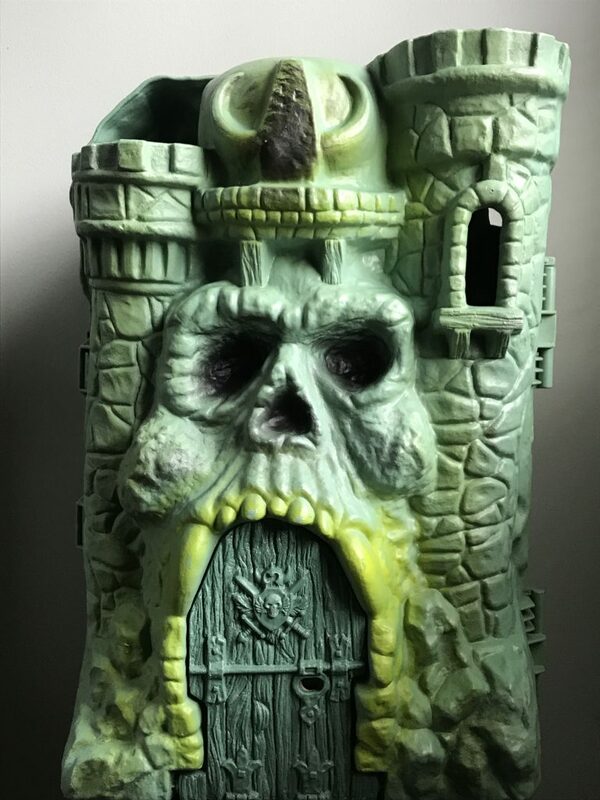 Title: Castle Grayskull : [no.] 81-3991. 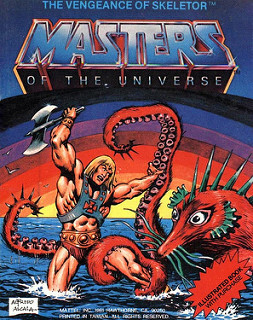 Title: Masters of the Universe : He-Man and the power sword. Title: King of Castle Grayskull. Title: Comics maitres de l’univers : no. 81. Notes: Cataloged from appl. Only. Appl. 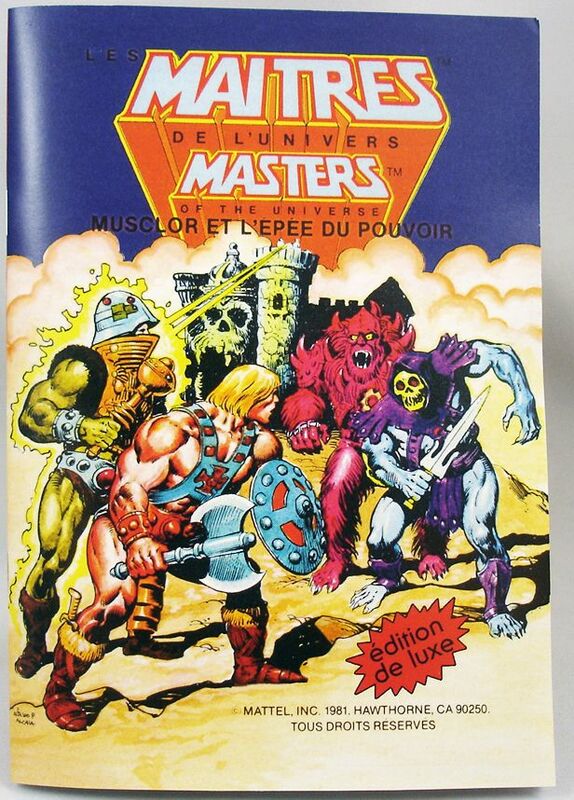 states titles on copy: Les Maitres de l’univers; Masters of the universe. Thanks to Miguel A. for inspiring this series! Hi Battleram, great post. I love the copyright warning paper. 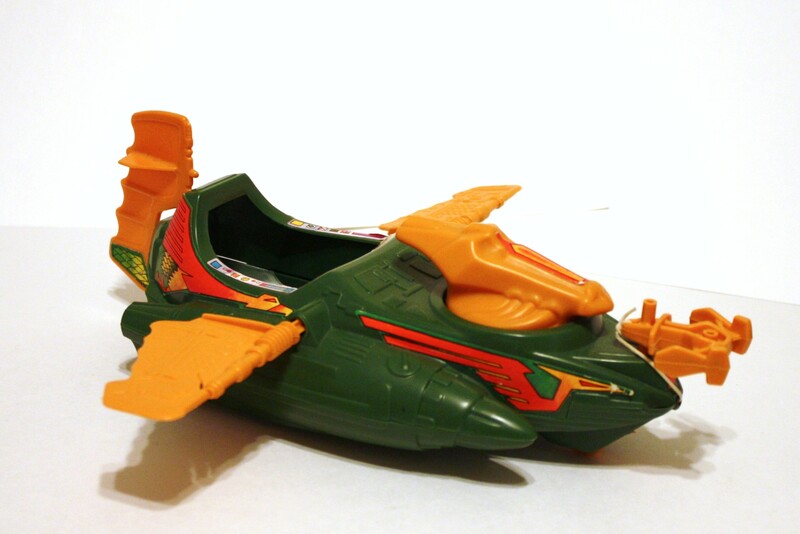 Do you know if that appeared in comics / magazines, or was it included with some of the toys? Agreed. Awesome. 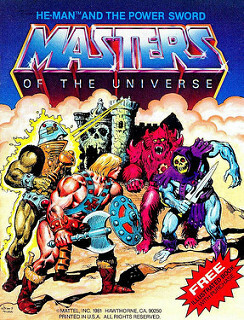 I love how He-Man is brandishing his axe at would be thieves. Ha, what a crazy pic. Mattel really sticking two fingers up at Lucas. They even chose the weird-stance figure of Luke Hoth to lurk in the background with his hands in the air lol. Wow….more great history here! Great stuff, as usual! Apparently, the movie that Glut referred to would be the one that had the exact title “The battle in the clouds”; that is to say the title with which was known in the USA an English short film called “The airship destroyer” (UK, 1.909) and also, somewhat later, a German one whose original title is unknown (Germany, 1.914). In any case, the possibility would be the same: Did Mattel fail to register “Battle in the clouds” because the title “The battle in the clouds” was already registered by that old audiovisual? As far as I understand, now the intellectual registers of words and expressions are made within well defined general categories and, even, within those same categories but with certain explicit exceptions; which would leave open the possibility so that the same word or expression could be applied to two or more different types of products. Having recorded “The battle in the clouds” in 1.909-1.914 for an audiovisual thing would not necessarily mean, then, that it would be impossible to do so for an illustrated book in 1982. Or will it be that in those years registering a word or expression granted a more universal right? Could it be that the intellectual inscription of “The battle in the clouds” was not limited to the categories and exceptions of today? I just do not know, but that could explain why Mattel left without registering one of those four initial illustrated books. Thank you Miguel, and thank you for your original fascinating insights that lead to this series of posts. It may have been the old Battle in the Clouds film that caused them not to register a copyright for it. Copyright, unlike trademarks, endures for quite a long time under US law. I think you might have something there.